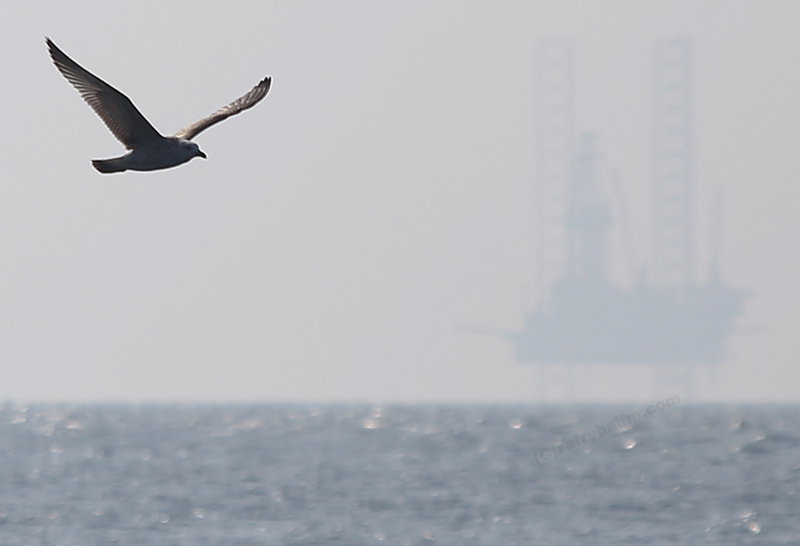 A bird is seen flying on Arabian Gulf, where world’s largest oil exploration takes place on a huge number oil rigs offshore of Dhahran, Saudi Arabia. Saudi Aramco, Saudi Arabia’s state-owned oil and natural gas company, owns and operates the world’s largest “Safaniya” oil field, which was discovered in 1951 and has been producing oil since 1957. The field produces up to 1.5 million barrels of heavy crude oil per day.